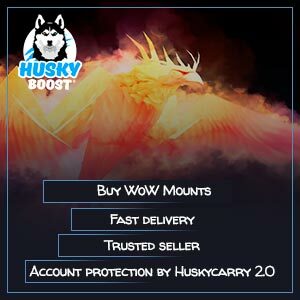 Hello everyone, this is Husky and I am glad to introduce some WoW mounts to buy! Size and variability of Azeroth hit impressively big numbers. It’s impossible to count each trail and every turn of Hero’s fate. But the game won’t just leave you wandering around on your feet. On the 20th level, you will receive your first steed. It will become even faster by reaching level 40. However, on the level 60, you and your trusted friend will fly into the sky and become even faster than ever! But have rideable pets been designed really just for traveling? Of course, it’s not! Your rideable friend is a reflection of your progress. It is a valuable mark of your prestige among other Heroes of Azeroth. Just imagine riding a giant dragon on the streets of Dalaran. The mere looks full of jealousy after getting a single WoW mount boost would be absolutely worth it. So, how to get rare pets? Head straight to Husky! A rideable pet might be a reward for your heroic deeds that you are yet to accomplish or because of the hard work – doing the same routine and wasting your time over and over again. Rideable pets can be divided into two categories: those you get any time you want and those are available only for a short period of time. 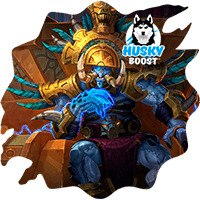 It is essential not to get lost in thought or mythic pet will be lost forever. Such pets are granted by completing raids, dungeons and arena battles of current interest in time. And it’s quite difficult to get into a good raid which is capable of beating strong enemies, just believe. 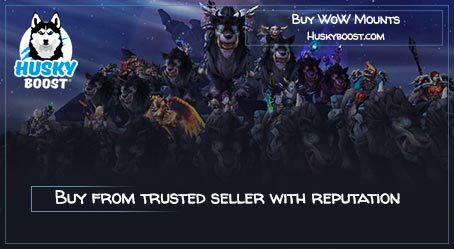 One of the possible routes to get in a WoW party is to buy several mounts by paying with real money. It will ensure you a decent amount of honor to get in a group. The selection of party members is unfair quite often. After assembling a party players need to kill a boss as well. This isn’t an easy task to perform. And in case you got unlucky, to repeat everything once again next week. Conquering a trusty comrade is a different story. Yes, we mean it – exactly conquering. You’d have to win many battles, raise your character’s prestige to a surreal level, actually and only after all receive a precious reward – your trusty comrade – rideable pet that will display your severity by his look alone. To ease this heavy burden of yours, Husky is here to help. 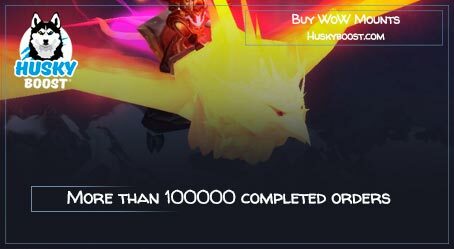 There is no need to waste hard-earned WoW gold because you can simply buy the desired mount from any point of EU region! Transport from the first category – ones you obtain anytime – are achieved not with hard labor and sweat but with endless farming. Such pets come from raids and dungeons you easily complete even solo. But don’t let the simplicity of this task confuse you, because a full completion of all raid dungeons once a week takes at least ten hours. 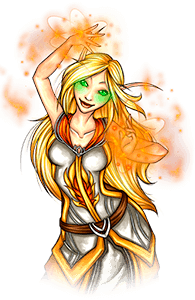 Are you ready to spend that much time on farming while Azeroth will pray for Heroes help? 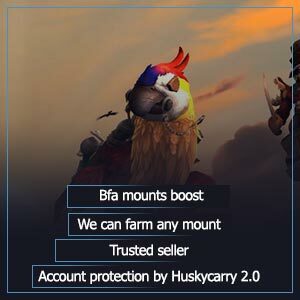 All WoW players reach a point where they need to purchase some help with mounts. A decent part of pets is created by skillful masters: tailors weave magical flying carpets; jewelers make gems become real stone panthers; engineers can build motorcycles, helicopters or even rockets! 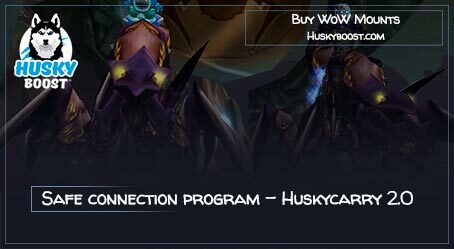 So buy yourself a special mount which is also a rocket and hover the WoW territories through the whole US server! Who wouldn’t ride a rocket? At least Elon Musk hasn’t got to MMORPGs yet. Ha-ha. Maybe it’s because every rocket in the game can already land without any risk of getting destroyed? Maybe. Or perhaps it’s him behind everything? Maybe thanks to Elon we can be sure in what the tomorrow brings? Anyway, let’s get back to the topic. However, materials to create miracles are either incredibly expensive or extremely hard to farm. Thankfully we are masters who know all the secrets of creating miracles. Especially if you love great tea. There is a countless amount of rare creatures wandering around the globe that can reward their slayers with a rare transport creature upon death. 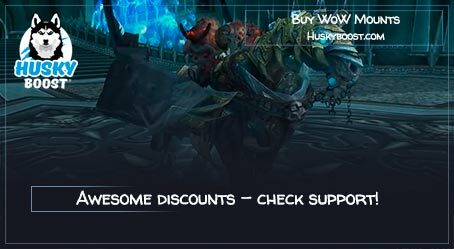 Even considering that WoW has it rather rough, and the drop rate of the mount is quite low, you can always buy our help and place a cheap order. However, such creatures are as rare as pets they keep inside. It’s not that hard to find a place where they will spawn but how long would it take to wait for one of them to appear? 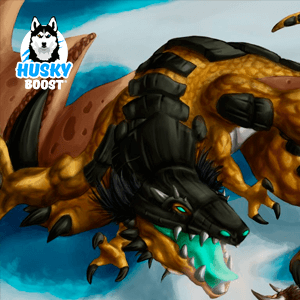 Brave boosters of our team will watch for that creature, track it and hunt down to take away the precious pet without any doubts! So there’s no need in walking the whole Texas over, just consider getting your own steed! A lot of secrets appeared since Legion came out. Whole stories full of puzzles and mazes which required months of unraveling by groups of smart and sedulous masters. As a result, the secrets became revealed but the way is thorny and dangerous nonetheless. 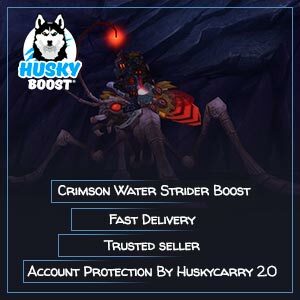 Gratefully, Husky is an adventurer that isn’t afraid of anything like that on EU server, all such things are just a breeze, he will always do whatever it takes in WoW just to get the necessary mount you seek and store in the warehouse. We have an adventurer’s guild in Europe, so it’s quite possible! Nobody knows what could be encountered while crossing Spain border. Or maybe you would like to go to Milan to eat some precious spaghetti with pizza for dessert. The decision to order may strike you anywhere! Don’t allow it to catch you on the surprise! Husky got everything covered so you could get it literally anywhere in Europe! Moreover, there are certain transport kinds which can’t be obtained by playing the game in any way. They are handed out by special bonus codes from TCG cards or for visiting a real-life event. Nobody is able to get to 2007’s BlizzCon unless that person is a magician or has his own time machine. Worry not! For our WoW bounty hunters for mounts, providing such an easy service is not a problem at all! Because we already have a bunch of codes waiting for you to get them. The price question shouldn’t bother you because we have plenty of sales going all the time! 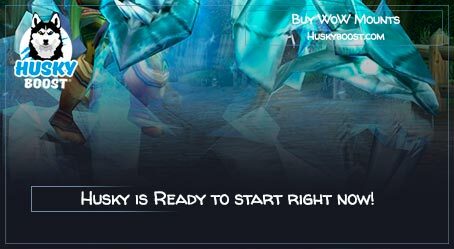 In World of Warcraft, you can’t always find some specific mounts for sale but you can at Husky. Transport existed since the first days of all MMORPGs. Still, it was harder to get them in the past. Actually, it was way harder. To begin with – your first rideable pet became available only at 40th level and it cost a fabulous amount of gold for a newcomer. Moreover, the speed of steed was incredibly low though it was faster than player anyway. If you were a paladin or a warlock then you were fabulously lucky cause you obtained a unique horse for completing a hard yet interesting questline. 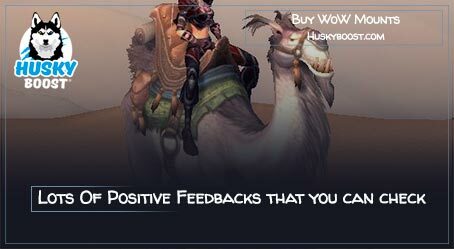 But remember that anytime you go online, an opportunity to buy some high-quality mounts in the well-known WoW unlocks to you! On maximum level – 60 – you were given an opportunity to purchase an incredibly expensive yet surprisingly fast transport. Mere possession of that creature was a reason to be proud of obtained in-game achievements because not every player could afford a beast like this. Even after receiving one in your personal possession, a long road awaits ahead. Next stage in pets’ evolution came in Burning Crusade expansion where the player could fly. Well, not really the player, only druids could fly by transforming into a hawk, but new flying faction dragons and wyverns. Certainly, it wasn’t that simple. These flying mounts were rather slow and to make them move faster a specific skill was required, and to learn the spell you had to buy it, which costed a pile of World of Warcraft gold. Even with this ability speed limit was never to be reached without certain rarest transport – real phoenixes and gladiator dragons. Nevertheless, the drive of hovering the explored territories or revealing secrets of new lands has always been a total catalyst for adventurers. However, no matter how strong your desire to play may be, sometimes, there are some issues preventing you from doing so. Either you have to work or study, it takes time for sure. You can’t sleep less, because all the free time you dedicate to the friends and gaming. And if you don’t get the minimum sleep time, then you won’t be able to perform well on the next day. 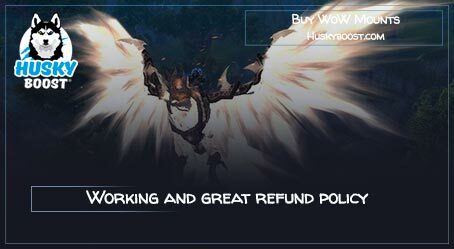 So make sure to contact our World of Warcraft boost service and ease your burden! In Wrath of the Lich King, Cataclysm and Mists of Pandaria several grounding restrictions for flights were added. Restrictions could be removed by simply learning a low-cost skill. But in Warlords of Draenor and Legion to ascend you had to complete a series of achievements which took a lot of time and now it’s as boring as before. 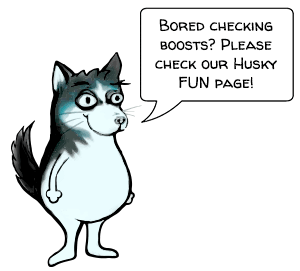 Fortunately, these achievements may be completed by Husky and his team. But worry not, because you don’t need to leave your home. Just purchase that amazing beast and keep on traveling the lands of MMO! An unexpected amount of brand new relationships await you down the road. Cut short to the meeting by browsing through our WoW boost shop and choosing the one you want! Thanks for hopping on the train and reading all this!